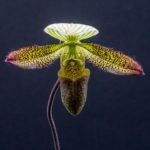 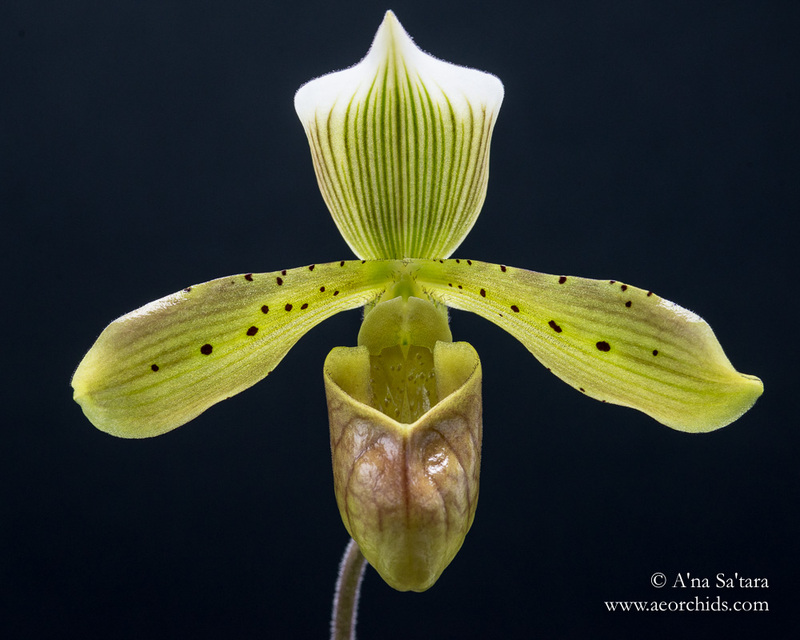 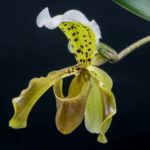 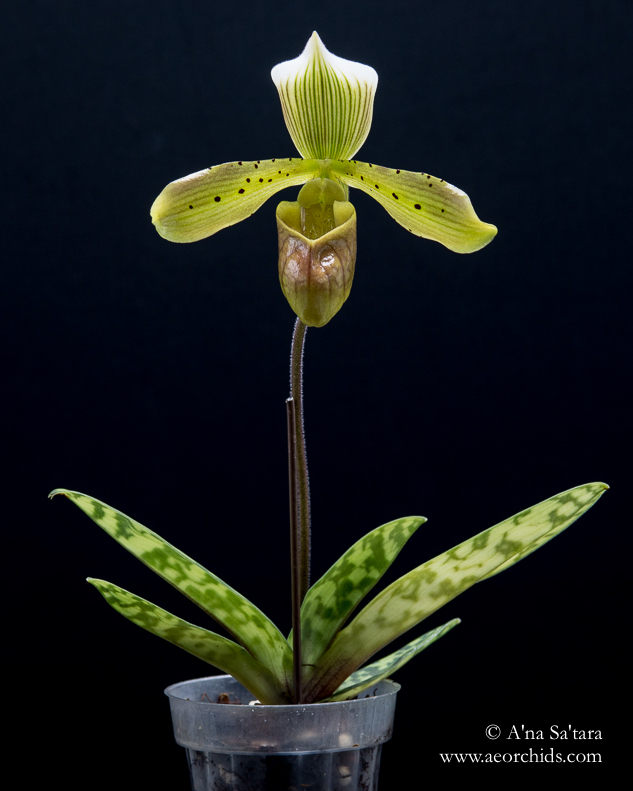 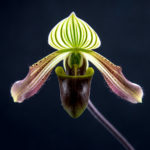 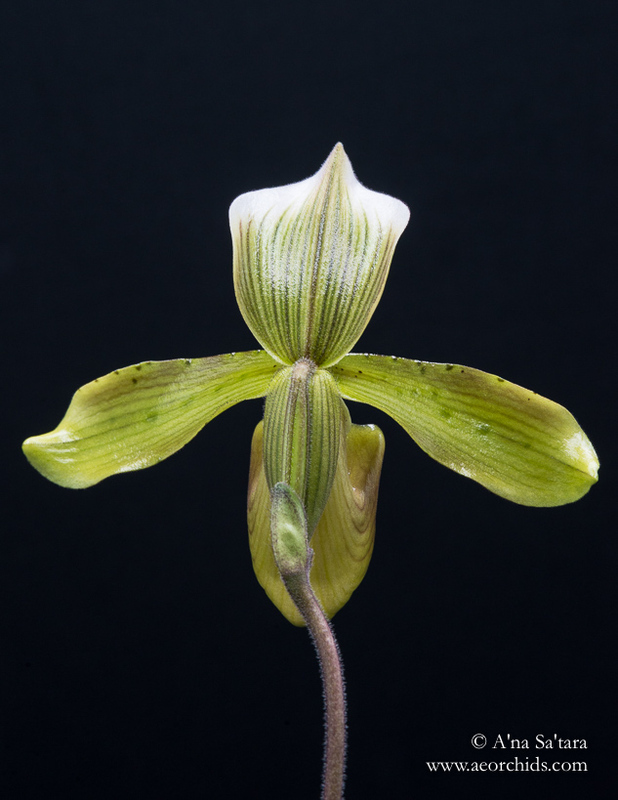 First bloom seedling of Paphiopedilum tonsum — the flower is almost wider than the leaf span. 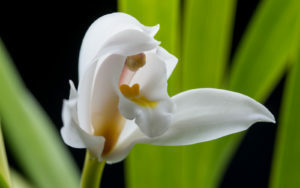 It is endemic to Sumatra at elevations of 900-1800m. 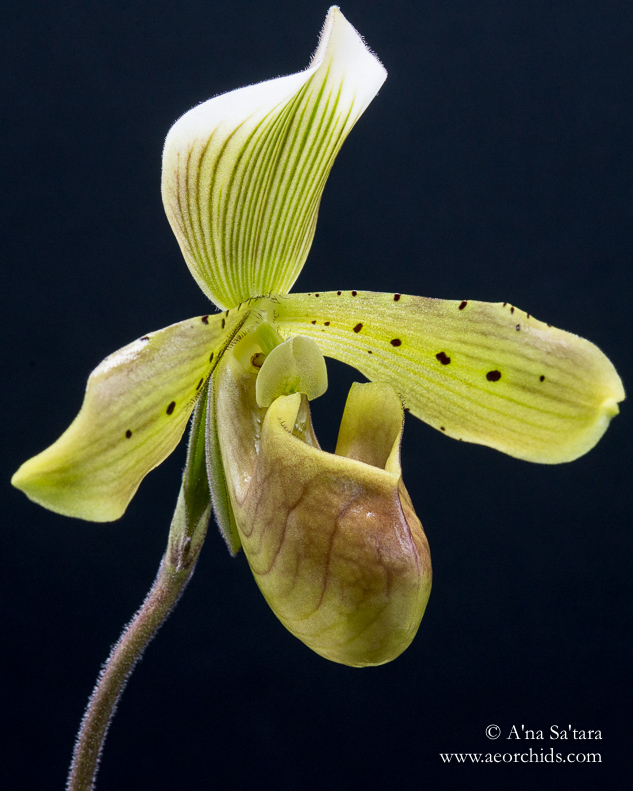 This one grows happily under T5 fluorescent lights in our nursery/warm room.